Do you have specific historic bonds with The Netherlands? 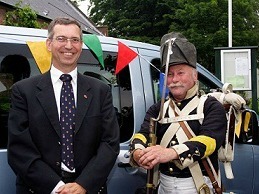 Or are you just interested in Dutch history and historic sites? Durendale organizes standard and personalized tours to every historic site in The Netherlands and beyond. There are many historic sites to be found in the Netherlands. If you know where to look, that is. Remains of the Limes (the border of the Roman empire), of the Spanish siege of Leiden, and of course of the Second World War. Jip Meijer, owner and tour guide of Durendale, knows all of them. And he can organize a tour to bring you to the specific sites you want to see. The river Rhine in the Netherlands once formed the border of the Roman Empire, also called Limes. Along it, many castella (Roman forts) were built to defend the empire. 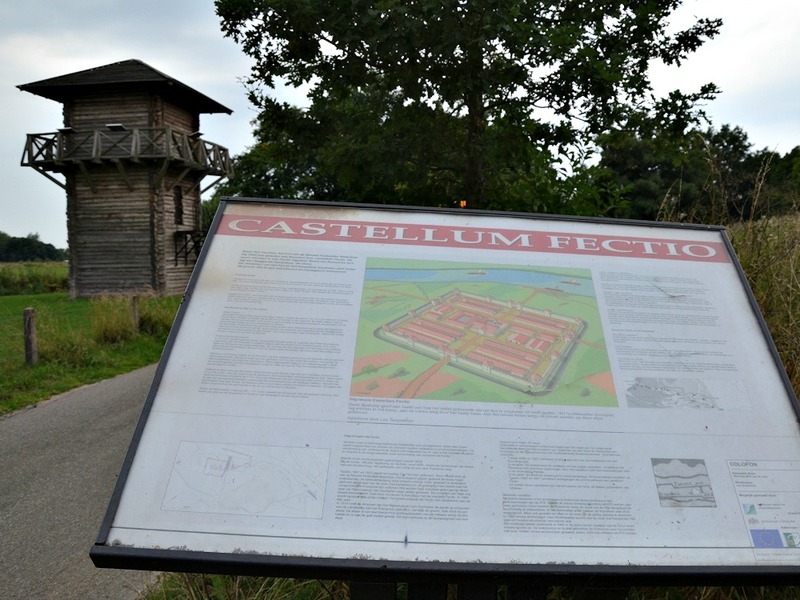 Most of these castellas were ruïned when the Roman Empire collapsed. And the remains are virtually invisible for many. Yet, if you know where to look, there is still enough to be found. Durendale can take you on a trip starting at the beach in Katwijk, where a castellum was swallowed by the sea. You will see different ruïnes, an archeologic museum, and the historic themepark Archeon. You can wear Roman armor, and sail a Roman ship. In the 16th century, large parts of the Netherlands was occupied by Spain. The Prince of Orange started a rebellion and stopped the intake of more Dutch cities. The victory for the Prince started at the city of Alkmaar, but the most famous siege was the one of the city of Leiden. The Spanish troops surrounded the city of Leiden in the year 1573. And the Prince of Orange did everything in his power to relieve Leiden of this Siege. 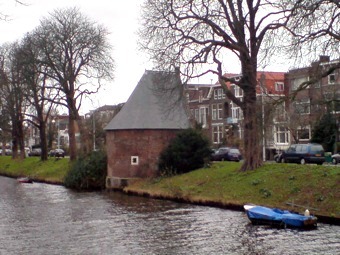 In the end, he succeeded by breaking the dikes and flooding the area around Leiden. Durendale lets you relive this period by going to the historic sites which played an important role in the siege and relief of Leiden. Visit the remaining Walltower of Leiden, the location of the Spanish headquarters, and follow the route the Prince of Orange took to break the siege and enter the city. And most of all: listen to the amazing stories. And then there’s the Second World war, which left a lot of scars and historic landmarks in the countryside. Everybody who has read Anne Frank’s diary will want to visit the Achterhuis in Amsterdam, where her family was hiding for the Germans. But Durendale also takes you to Westerbork, the nazi-camp where she was transported to before going to Germany. And there are many other places in the countryside where Jews were hiding. 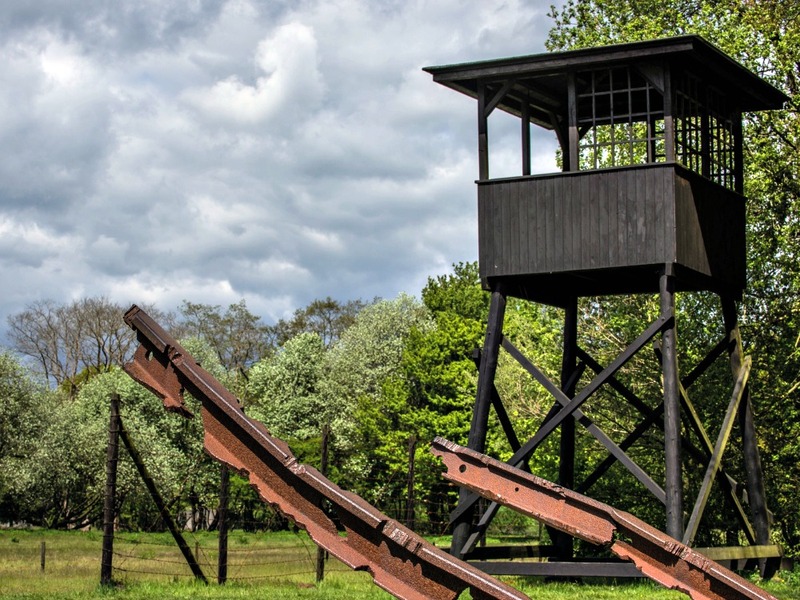 Learn all about these places and the Dutch resistance in an exciting tour. 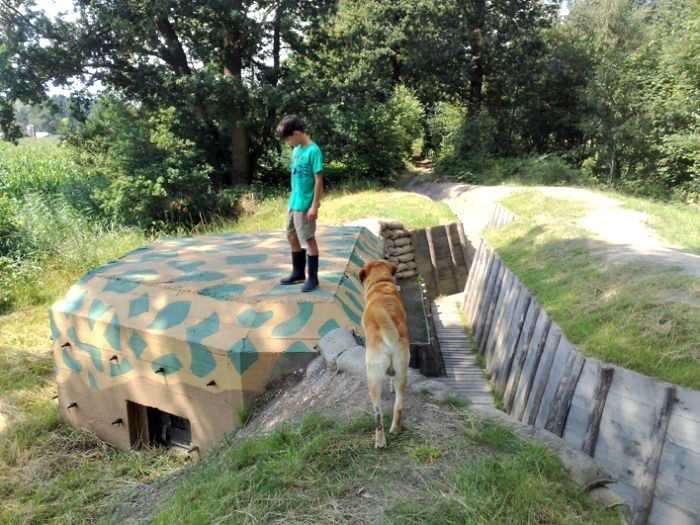 But there are many more interesting stories to tell, around different World War II sites in the Netherlands. About the Atlantic Wall, for instance. This German line of defence stretched from Norway to France, but is best shown in Holland. The battle of Arnhem was an important event in the war. Durendale can show you the place where the Canadian parachutes landed. Or where the English … the bridge, and the American soldiers marched. Are you more interested in the Battle of The Hague at the beginning of the war? In the Soldier of Orange? Or in the Allied pilots who crashed in the countryside and were taken care of by the resistance? No problem, Durendale knows all the historic sites and will bring those stories alive for you. There are many more sites that played an important role in Dutch history. The French revolution and different invasions of Brittish troops, for instance. Or visit some sites of the Dutch ships from the Golde Age were built and can still be seen. And you can even make a trip to the First World War sites in Belgium, or the invasion beaches in Normandy, France. They can be visited in a daytrip from Amsterdam as well. Whatever historic interests you may have, Durendale can organiza a personalized trip for you. You’ll be sure to return home with magnificent stories. Interested? Just fill out the form below.